Announced in July 2018 along with the free version of Teams, users can blur the background of video calls. The feature is now generally available. However, the technology to perform face recognition to identify the person and understand where the background to be blurred begins and ends only runs on reasonably recent PC equipped with Advanced Vector Extension 2 (AVX2) graphics. AVX2 is what Teams uses to blur the background after it figures out where the user is. AVX2 is supported by PCs that have a post-Haswell chipset. Blurring works on my Surface Book 2, but doesn’t on my HP Envy 17 of 2014 vintage. Be aware that the CPU has some processing to do to locate a face and blur the background, so it can impact other work on the PC if you run a loaded system. To blur your background during a video call, press the CTRL+Shift+P combination. If things go blurry, you know that your PC can do the business. If not, maybe it’s time for an upgrade if you think that blurring is a big business feature that justifies the expenditure. Blurring backgrounds is a nice feature, but sometimes I feel that it would be even better if I could blur some meeting attendees. But I’m grumpy at the best of times, so there’s no surprise there. 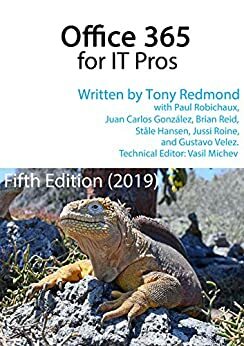 Read Chapter 16 of Office 365 for IT Pros for more information about Teams video meetings and the transition from Skype for Business Online, and Chapter 13 for more information about Teams in general. Hey Tony, I have a Lenovo X1 Carbon 4th Gen with an Intel i5-6200U CPU and Intel HD 520 GPU. If you look at the Link https://ark.intel.com/de/products/88193/Intel-Core-i5-6200U-Processor-3M-Cache-up-to-2-80-GHz- you can see that it supports AVX2 but I still don’t have the Blur Background feature running on Version 1.1.00.25457 (64-Bit) of Teams. You’ll have to log a support case to resolve this. It might be that the PC lacks a specific feature. I tried the command CTRL + Shift + P during the video call and it´s working now, thanks! !